Are you ready? We are very excited to announce this weekend's weekend event. The Seasonal Leaderboard will be activated for the entire weekend. Rank 1-3 will earn awesome prizes. You will get 2x Battle Royale Skinboxes when winning a Battle Royale Skinbox. You will receive your daily reward every 12 hours instead of 24 hours! Enjoy guys! In case you noticed: This weekends' weekend event start on a Thursday already instead of Friday! Leaderboards open world lets go!!!! 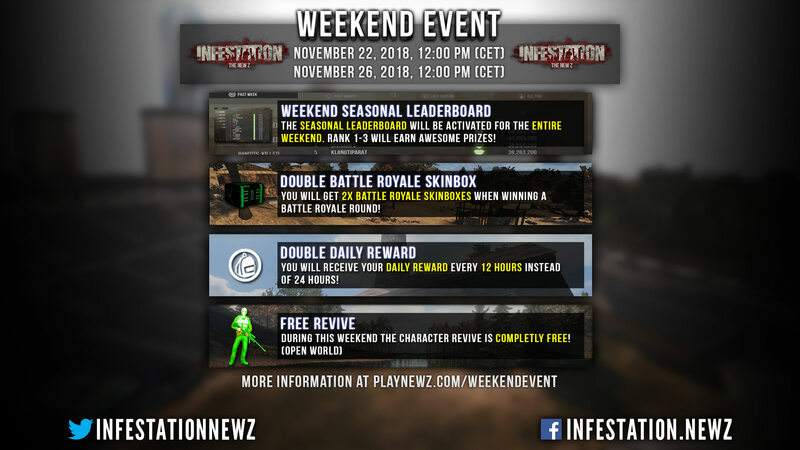 The Weekend EVENT is LIVE! Have fun everyone! 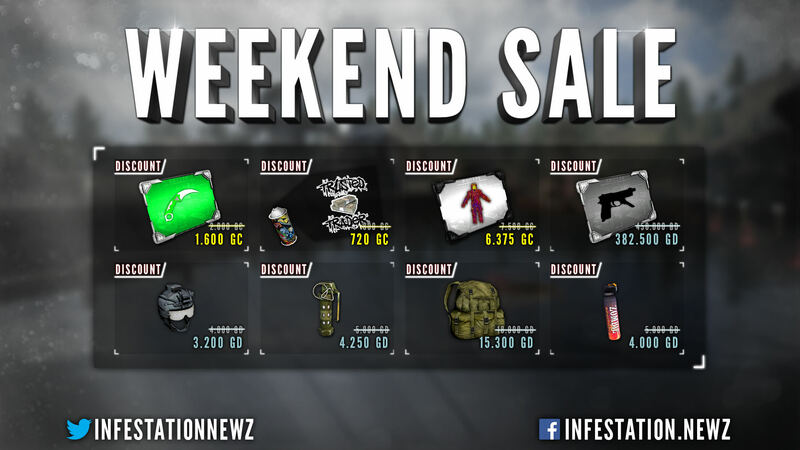 Nice Weekend Event Sale !!! What time do we get the rewards? Thanks for do nothing. The players in group are now laughing and getting his dirty rewards. Good job. What happened to the new z that punished players who cheated? Now do you reward them? Good question. I'm gonna go after it right now.